Plasma cutting is a lot similar to carpenter’s work. There is an old saying “measure twice cut once.” Well, in the plasma industry it should be “inspect twice, cut once. A good plasma arc cutting operator with well-maintained plasma cutter equipment can save up to thousands of dollars. Careful preparation, good setup and proper maintenance can save shop hours of downtime. Not to mention it can also alleviate many costly mistakes which most of the operators face from time to time. Enough said? Now, let’s get straight to the point. 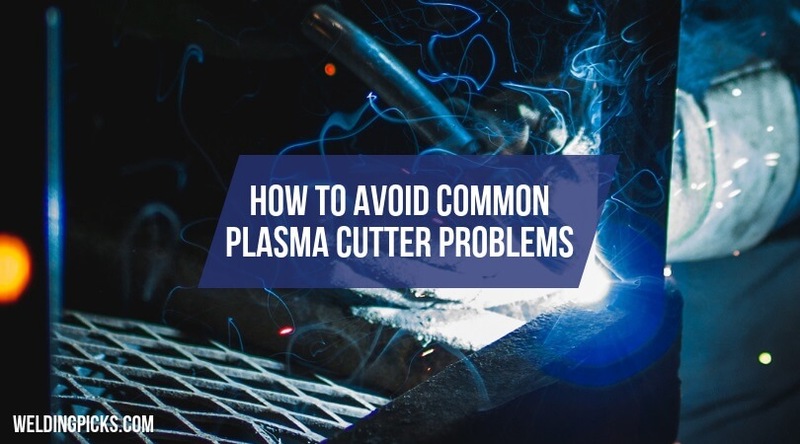 If you want to avoid common plasma cutter problems in your daily work life, I’ve made a list of remedies that will help you overcome this mistake and will eventually help you save quite a few bucks in the process. Frequently changing your car’s engine oil is more cost effective than changing the whole damn engine. It’s just an example to give you a brief idea. Replacing your consumables frequently is much more cost-effective than replacing the torch. Take a look at your used parts bucket, and you’ll know what I mean. You’ll probably see a lot of consumables that have been run to failure. Using worn consumables can even lead to torch failure. Uncontrolled arcing in the plasma chamber is the main reason for this failure. A seasoned operator can tell when consumables are worn out, but what about the new guys who just got into this industry? The first sign is deteriorating cut quality. One can even tell by the sign coming from the torch, changes in torch height, or the color of the arc. Inspecting the visuals is also important. If signs of gouging exist in the outside or inside of the nozzle or if you see signs of oxide residue on the inside, you should replace it immediately. If you notice that the cut quality is deteriorating, one quick way to determine the condition of your consumables is to periodically check your consumable stack up. Try to keep a record of the lifetime or arc-on time of your parts. You’ll be able to predict when your parts are being worn out. With correct care, torch should last a long time. You should assemble your torch properly and aligned with other parts so that all of your parts are fit together snugly. This ensures good coolant through the torch, good electrical contact and the correct flow of gas. Keep your torch thread clean and get rid of any particulate contamination from your seating area. Also, keep your consumables on a clean shop rag. It will prevent metal dust or dirt from contaminating the torch. At first, I mentioned not to wear out your consumables, this time it’s the polar opposite. Don’t change your consumables too soon either. Rather than changing after each work session, you should check how much they have worn. If the orifice isn’t round or if the gouge is inside or outside of the nozzle, then it’s time to change the torch. You should also check the hafnium pit that’s in the very center. If it gets too low, replace it. If you see any grease or dirt in the holes of your gas swirl ring, replace it. Also, if you see cracks, excessive wear or arc burns in the ring, well you know what to do. The same can be said for shields. You should only replace them if they show any sign of physical damage. Selecting your consumables depends on two things. Take a look at your operator manuals. It will tell you which consumables are appropriate for different types of cutting. Mismatch of consumables can lead to the shortened lifespan of your tools and can also reduce cutting quality. 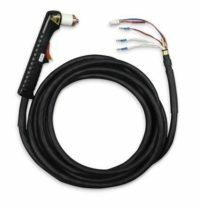 You’ll also need to make sure that all of your parts are running at the correct amperage. You should always set the amperage at 95% of the nozzles rating. Set it too low, and you’ll end up with a sloppy cut. Setting it too high will drastically reduce the nozzle’s life. A regular routine check of your gas flow, pressure and coolant should be your top priority. If there is insufficient flow, your consumables won’t get cooled properly. It can also adversely affect your parts life. Insufficient flow of cooling water. One of the most common causes of hard starting is excess pressure. It’s that situation where all of the other conditions are normal except for the torch. It is that moment when you realize your torch won’t initiate an arc. No meme reference here. You should always keep plasma gas in a clean and dry space. If you want to prevent short torch and consumable life, keep the plasma gas supply clean. Compressed air supplies are prone to moisture, oil, and particulate contamination. Don’t use the torch as a hammer. Avoid torch collisions and arc stretching. Don’t cut too fast or too slow. You don’t want to pay hundreds of dollars for replacing the torch. If you need to stretch the arc in order to reach the metal, most likely your consumable parts will fail. This can be prevented by using edge starts instead of piercing start. I guess these were the most important ones. But, that doesn’t mean that your additional parts will last forever. At least you would get more lifespan out of them if you can follow all the preventive tips. You can save countless hours and reduce a lot of expenses by following the proper operation of plasma arc cutting equipment. It will also result in good cutting quality and extended parts life.